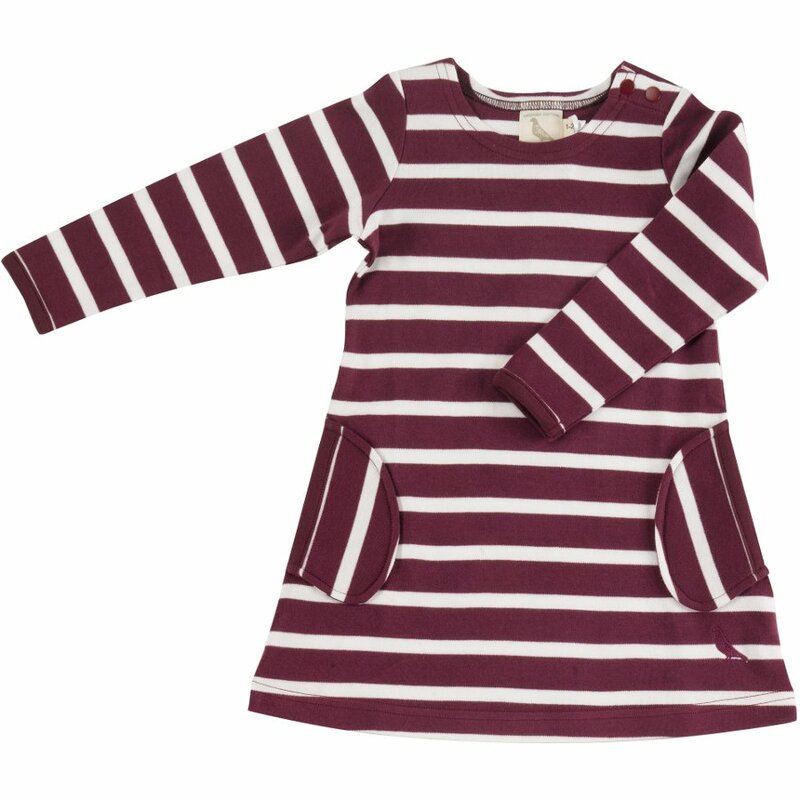 This classic Breton stripe dress in a gorgeous autumn fig colour is 100% GOTS certified, Soil association organic and a true classic design. Fabulously soft and gentle on babys skin, it is has poppers on the shoulder for easy changing and is kind to the planet too. Pigeon organics make 100% organic cotton clothes to be soft on babys skin and kinder to the planet, paying serious attention to detail throughout the design process and production. 100% organic cotton; Soil Association Certified and GOTS certified, Eco friendly. Wash instructions: Machine wash inside out, with similar colours and at 30 degrees. Do not dry clean, tumble dry or bleach. Iron on reverse. 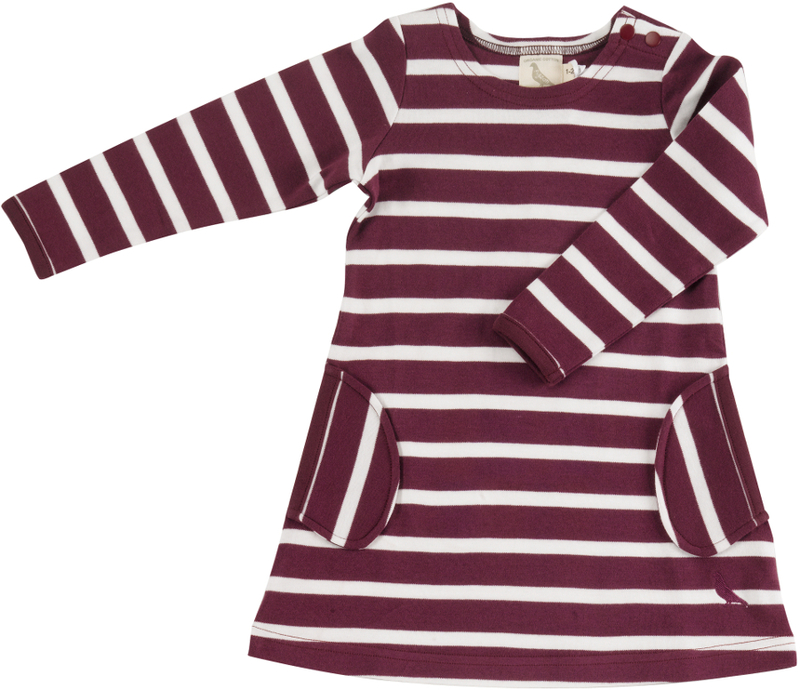 There are currently no questions to display about Pigeon Organics Breton Stripe Dress - Fig.